Birmingham, aka “The Birthplace of Heavy Metal” has proposed a project to honor their sons, Black Sabbath. Black Sabbath may soon be “turned to steel in the great magnetic field” in the city that is “The Birthplace of Heavy Metal”, Birmingham. According to Birmingham Mail, the city is planning to pay tribute to their most famous musical sons by naming a bridge after the band and immortalizing them with a stainless steel bench upon the span. The bench would feature images of the Black Sabbath original lineup, including drummer Bill Ward, with the words “Geezer. 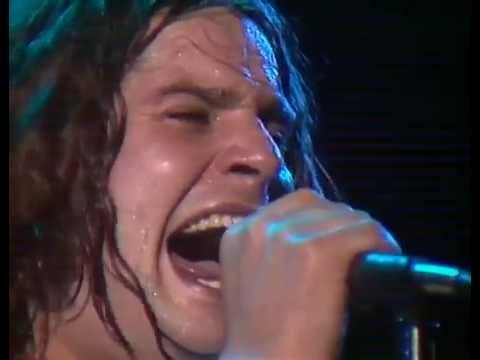 Ozzy. Tony. Bill. Made in Birmingham 1968.” forever etched upon it. The site in question is situated on Broad Street, a lane that boasts the city’s Walk of Stars, a Hollywood Walk of Fame-style tribute to famous people that have emerged from The Birthplace of Heavy Metal. As Ozzy, Geezer, and Tony already have stars on Broad Street, the city council will cap off their tribute to the band by awarding one to Ward and another to the entire band. Those stars will be set in front of the soon-to-be crafted steel bench in, naturally, the shape of a cross. This project would be spearheaded by Mohammed Osama, an architect living in Dubai, and who also happens to be a huge Black Sabbath fan. Mohammed says he hopes that this tribute can bring all four original members of the group together one last time. And it appears that Iommi himself is a fan of the plan, tweeting about the project. Born in Aston, Birmingham England and often cited as the pioneers and the Godfathers of heavy metal, Sabbath was founded in 1968 by Tony Iommi, Geezer Butler, Ozzy Osbourne and Bill Ward.